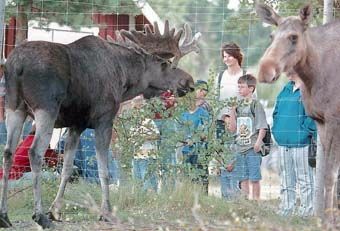 This is where you meet our elk bull, and his family. 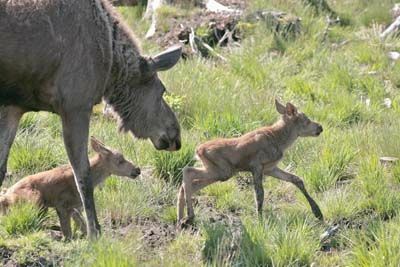 (We have preferred the British word ‘elk' to theAmerican ‘moose' in the text, although they refer to the same animal: Alces). You can come really close to the animals and perhaps use one of several photo towers in the spectator area. Your comfort at heart and of course the area is completely suitable for the disabled. Be sure to arrive at 10 a.m. when it is feeding time. This is when the elks are really alert and easy to film and take pictures of. Southern Sweden). Turn at the exit 81 at Laganland. Look for the signs! Laganland Sweden Shop. The entrance is through Laganland Tourist Information Centre & Sweden Shop. 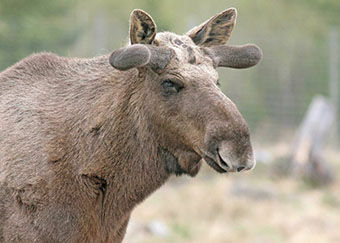 The elk park comprises more than 6 hectares of woodland and a show enclosure of 6000 square metres. 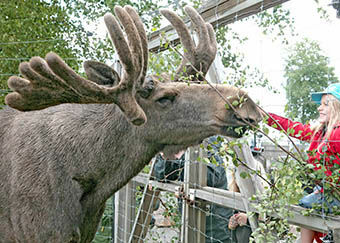 During opening hours the elks are always in the show enclosure. Thus you can easily see and take pictures of them from many angles. Or feed them a juicy apple, which they really like! The park is open Easter through October and the Christmas and Easter holidays as well. Laganland Sweden Shop and the Tourist Information Centre have the same opening hours. If you would prefer other visiting hours, please do contact us for further information. Mooseum is our photo exhibition. It shows the life of the elk during an entire year , door to door to the show park. The same opening hours as Sweden Shop. The bull looses his antlers in late winter. They start to grow back after about a month. Photo 9 February. 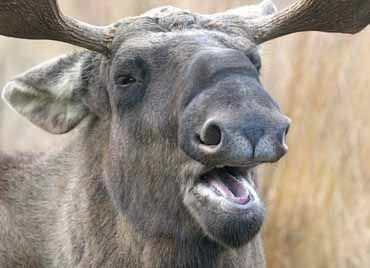 The elk is the largest deer in Scandinavia. 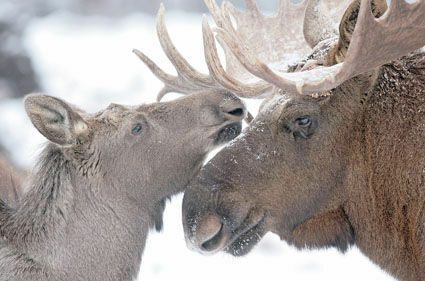 During the winter (after the shooting period) there are around 250 000 to 300 000 elks in Sweden. A reduction of appr. 100 000 animals. A large bull weighs 500 to 600 kilos. 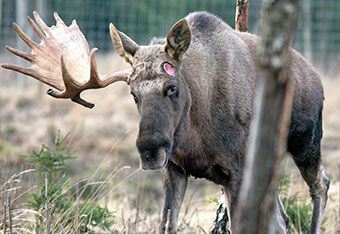 The bull looses his antlers in late winter and they start to grow back after a month. The elk ruminates and thus has four stomachs. This is why you will find him resting a lot in between his eating intervals. 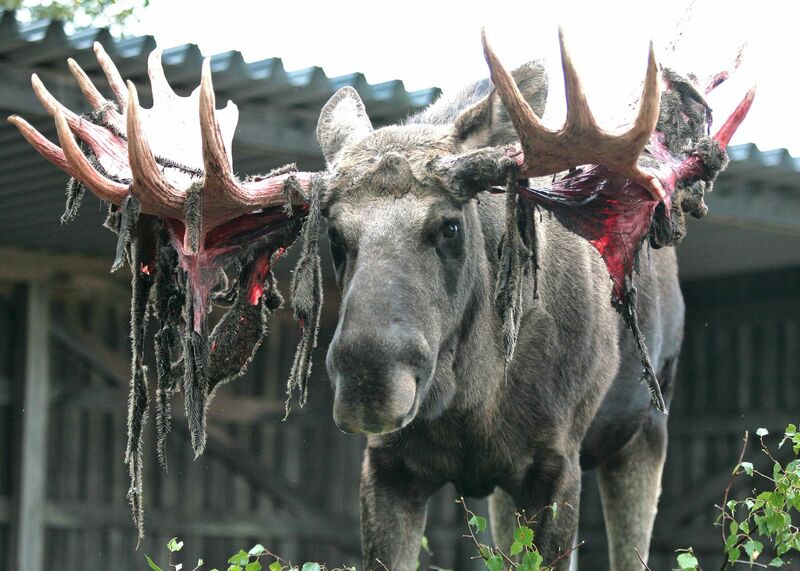 The rutting season is normally in September/October and by this time the bull has frayed his antlers clean of velvet. The cow is pregnant for 8 months and normally gives birth in May/June. 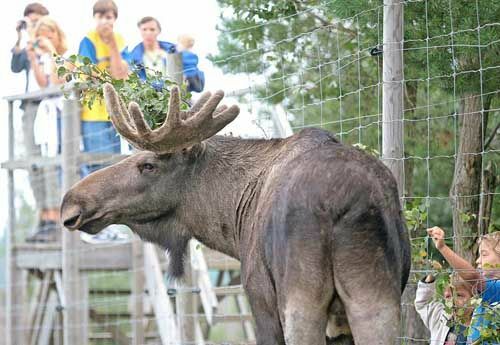 The province of Småland is one of the areas in Sweden most frequented by elks. During the winter there are around 30 000 elks in Småland. 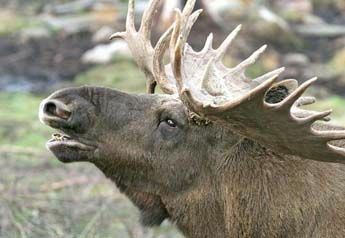 In the wild the elk is very shy and rarely spotted. 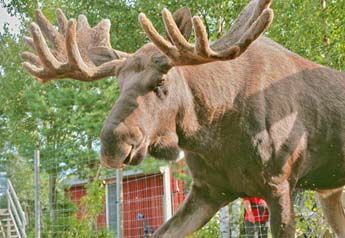 In the Elkpark Elkland - Laganland you will get really close to this grand animal. Welcome!